Athlete and educator, Ted Hunt was inducted into the UBC Sports Hall of Fame, the BC Sports Hall of Fame, and the BC Rugby Hall of Fame. He is one of British Columbia’s greatest all-around athletes and captained the BC’s provincial rugby team to victories over the famed British Lions and Australia’s Wallabies. Hunt served the Vancouver school district for 30 years as educator, department head, administrator, and coordinator of academic curricula. At the age of 17, Hunt was Western Canadian nordic combined ski champion, and the following year, he was named to Canada’s Olympic ski-jumping team. While a student at UBC in 1954, he went to the World Championships for ski jumping, and in the same year, at age 20, took eighth place at the National Championships in Sweden. Hunt is renowned for his skill in multiple sports, notably rugby, skiing, boxing, box lacrosse and football. 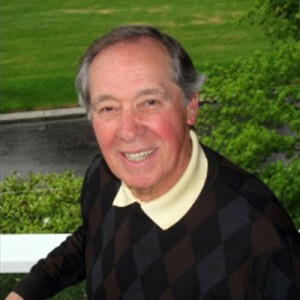 He graduated from the University of British Columbia in the School of Physical Education with a bachelor’s degree in 1957, earned his Master of Physical Education in 1961 and his Doctor of Kinesiology and Education in 1976. His ground breaking dissertation: “A Serial Electrocardiograph Study of Thirty Champion Athletes Before and After Actual Competition” was published in four medical journals. While at UBC, Hunt won a Golden Gloves title; captained the UBC rugby team; was a member of the UBC water polo team; and was awarded the Bobby Gaul Trophy. Hunt played for the BC Lions, was Rookie of the Year in his first season, and was named Outstanding Canadian Player the following year. In the 1960s, while still a student, he played box lacrosse with the Vancouver Burrards, when they won two Canadian Mann Cup victories in 1961 and 1964. In retirement, he served nine years as School Board Trustee, and for 20 years as director of The Students’ Emergency Fund which he began with Brenton Kenny. They distributed more than half million dollars in honour of their first donor, Jack Diamond. Hunt has authored several books: In The Company of Heroes, which became the Indigo Finalist for Dramatized History. It is currently being examined by Channel One Russia. He has also authored three books on golf, Ben Hogan’s Magical Device, Ben Hogan’s Short Game Simplified, and Ben Hogan’s Tips For Weekend Golfers. His most recent work was written for Canada’s national seven a-side rugby teams: Creative Backfield Rugby Canadian Style. And, getting ready for the printer is an historical thriller, A Long Road Home: 1919.